Investors are fleeing the country’s $200 bln peer-to-peer lending sector, as Beijing steps up its crackdown. The squeeze has pushed many outfits like LexinFintech to seek more funding from banks. Margins will suffer, but it’s a small price to pay for growth. 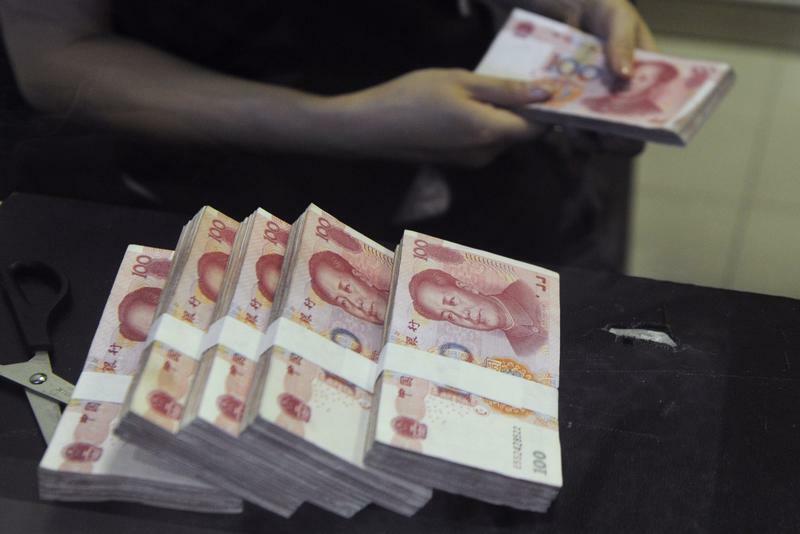 An employee counts Chinese 100 yuan banknotes at a branch of China Merchants Bank in Hefei, Anhui province June 21, 2013. China's central bank faced down the country's cash-hungry banks on Friday, letting interest rates again spike to extraordinary levels as it increases the pressure on the banks to rein in rampant informal lending and speculative trading. Chinese consumer finance company X Financial is planning to raise up to $121 million in a New York initial public offering. The company is selling 11 million American depositary shares at $9 to $11 each. The deal will price on Sept. 24. The company offers financial products including credit card transfers and unsecured loans. As of June, X Financial had 1.3 million active borrowers. Separately, Chinese online lender LexinFintech on Aug. 23 reported revenue in the three months to June of 1.8 billion yuan ($262 million), an increase of 35 percent from the same period last year. Earnings at the company topped 465 million yuan, up from 15.5 million yuan a year earlier.